B&G is proud to be an Official Volvo Ocean Race Supplier for the 2017/18 race. Sitting at the heart of the entire fleet of Volvo Ocean 65 yachts are B&G’s state-of-the-art navigation systems, tactical software, and Grand Prix level instrument systems. B&G will also be providing race support to the organizers and crews of the 2017 Volvo Ocean Race. B&G will be following the teams from Leg 0 right through to the final, offering a unique perspective and exclusive commentary from the race. And we have lots of exciting competitions and giveaways throughout the event including a chance to be at one of the race villages. To ensure you don’t miss out, subscribe to the B&G Volvo Ocean Race community for email updates or follow our social channels. Sailing instruments do not replace a sailor’s natural senses, but they enhance and validate them ensuring that sailor’s are prepared and informed when they are out on the water. 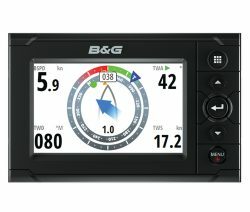 Whether you require basic instrumentation for cruising or an advanced system for offshore racing, B&G’s marine instrument range has an option to suit every sailor. 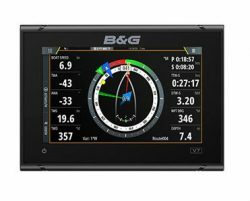 B&G’s autopilots have been proven in the toughest conditions and most testing environments by some of the world’s best sailors. This race-winning technology is now available for the cruising sailor and club racer in our easy to use Triton² range so whatever your requirements, B&G have an autopilot system for you. 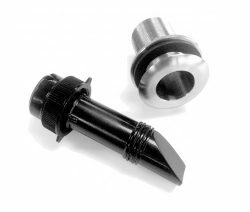 Everything you need to accurately measure conditions, with all the precision and quality you would expect from B&G. 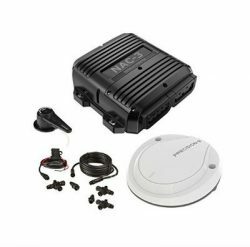 From wind sensors to compass and motion sensors, you’ll find it all here. 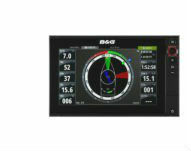 B&G is the world leader in marine instruments, autopilot systems and tactical software solutions for race boats, sail boats, blue water cruisers and superyachts. ForwardScan® forward-looking sonar shows what lies ahead under the water with approaching depth information. Powerful 5-inch, sunlight viewable, colour display with a straightforward user interface. 7-inch chartplotter and radar with global basemap. Comprising of the high-current NAC-3 autopilot computer, Precision-9 compass and RF-25 rudder feedback unit. Fixed mount class D DSC VHF radio: Entry level VHF radio with NMEA2000 connectivity for GPS position, backlight control and night mode grouping with B&G MFD’s. An easy-to-use chartplotter navigation system for blue water cruisers and regatta racers. Network wind sensor for Trition², Triton, IS42, IS40 and IS20 systems. Autopilot controller and 4.1-inch display pack.